Image of the Dual-band PIFA with parasitic element. 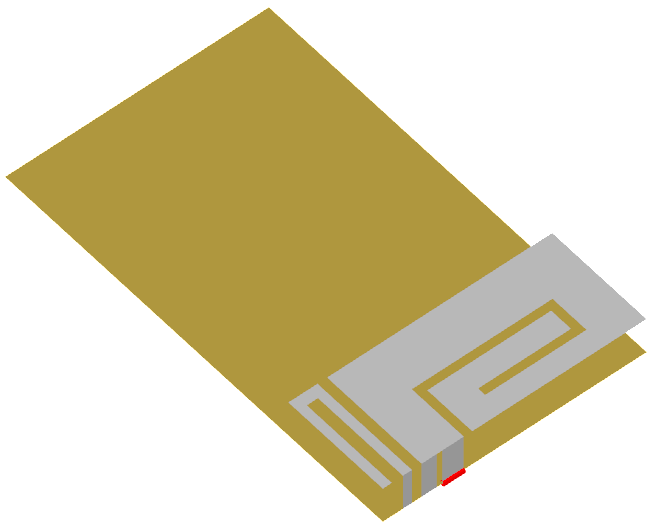 Dual-frequency planar inverted-F antenna's (PIFA) were initially designed for use in cellular handsets, particularly for GSM 900 and 1800 frequencies. Apart from extensive utility of PIFA in commercial cellular communications, it finds its usefulness in many other systems applications such as WLAN. By including an adjacent parasitic element, complete with slot and grounding strip, the bandwidth at the upper frequency may be increased. 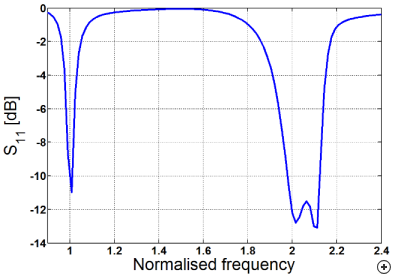 The length of the parasitic is the defining parameter for its resonant frequency, designed to resonate at a frequency slightly lower or higher than the upper resonant frequency of the main element. The radiation patterns at the two frequencies are fairly well-behaved. 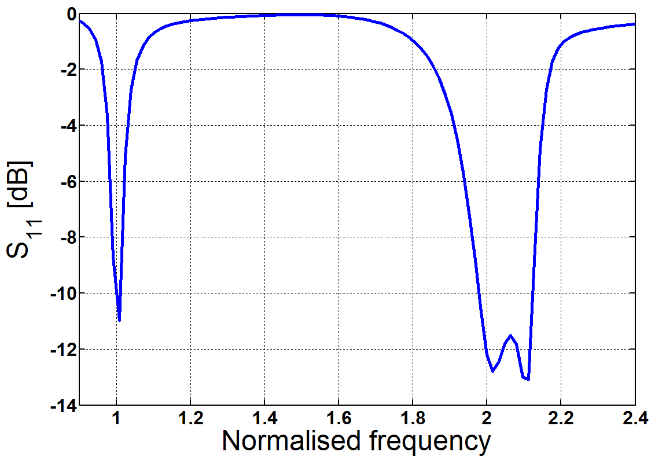 The pattern at the lower frequency band has a doughnut shape (with peak gain of approximately 2 dBi), while the pattern at the upper frequency is a single broadside lobe (with peak gain of approximately 4 dBi). 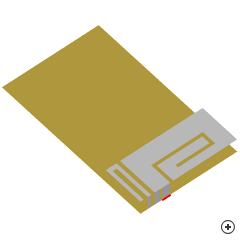 Typical total 3D radiation pattern at the lower and upper frequency.